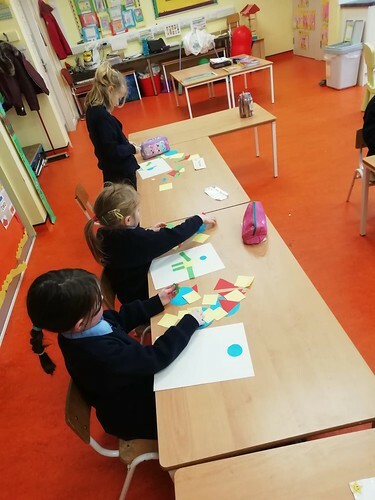 The Senior Infants have been taking part in weekly Maths stations.One of our recent stations was making patterns with coloured 3d shapes. 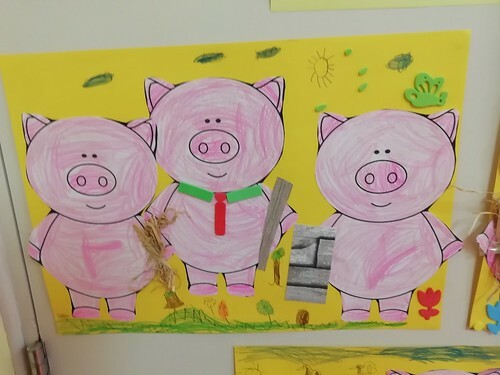 The children observed various circular shapes in the envrionment. e.g. hoola hoops, lids of various sizes, masking tape, sellotape, glue stick , p.e. cones. etc. The children then invesetigated pi further by drawing circles in their copies using a compass and a ruler. 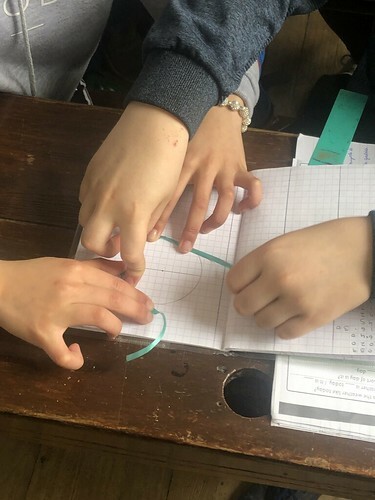 In pairs they helped each other to measure the circumference the diameter using string and a ruler. 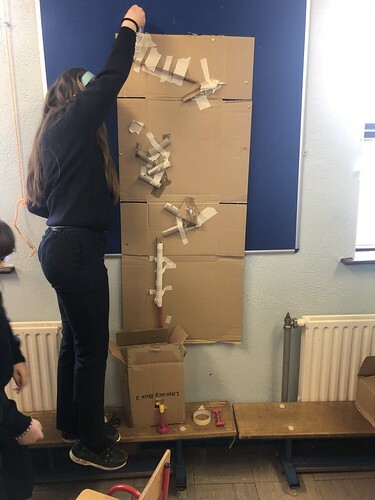 6th enjoyed making a marble run during Engineer's week 2019. 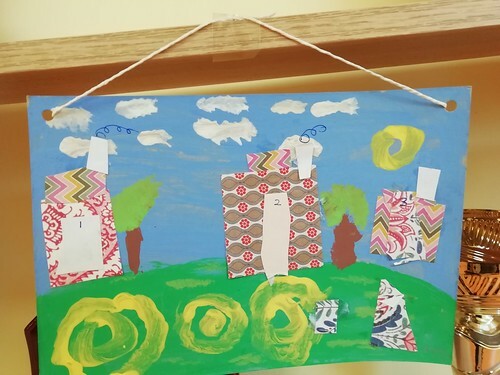 The children reused materials and recyclable materials. 5th+6th: Science: Materials: Does Air Have Weight? 5th+6th investigated if air has weight. We filled two the of the same balloons with approximately the same amount of air. We stuck each balloon to the either end of a meter stick and hung the meter stick with a string to balance the balloons. The stick remained steady and straight. We then busrt one of the balloons, letting all the air out. 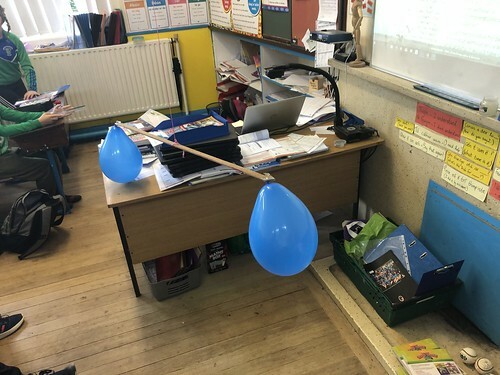 We could see that the weight of the other balloon weighed down the stick therefore proving that air has weight. 5th+6th were learning about the respiratory system. 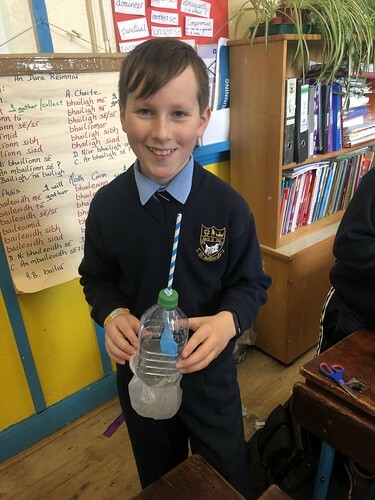 The chidren made lungs using plastic bottles, straws, and balloons. 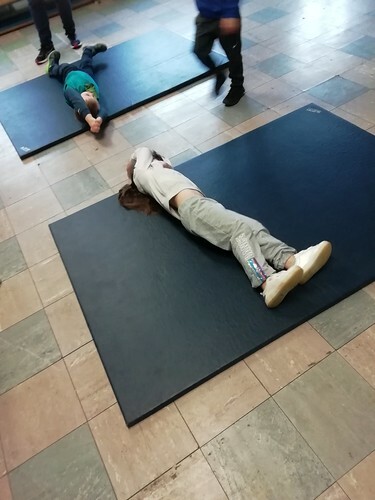 The children showed the movement of the diaphragm i.e.when your diaphragm contracts,and moves downward,your lungs expand and inhale and when your diaphragm relaxes your lungs exhale. 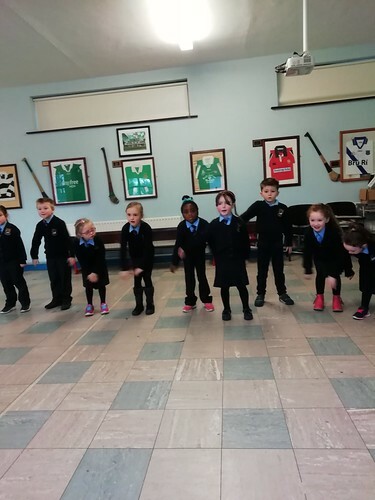 In the past term, the Junior Infants have been working on the Gymnastics strand while also developing the fundamental movement skill of walking. We focused on learning three types of rolls - the pencil roll, sausage roll and egg roll. 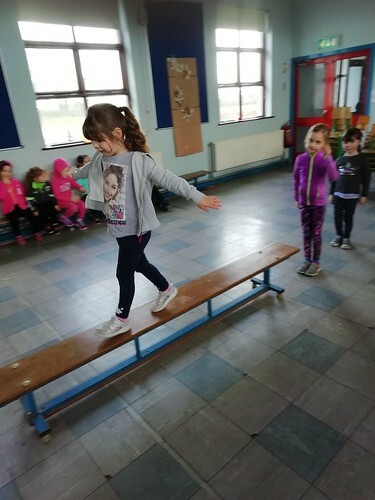 We worked on a number of balances. 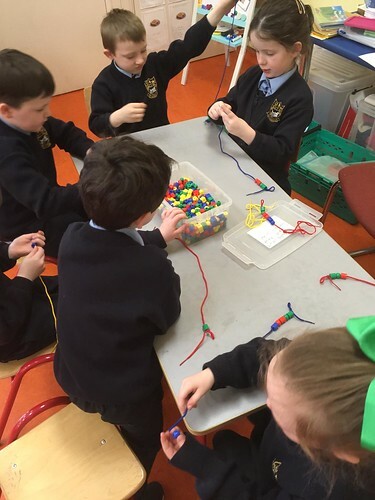 We used everything we learned over the block to put together simple sequences. 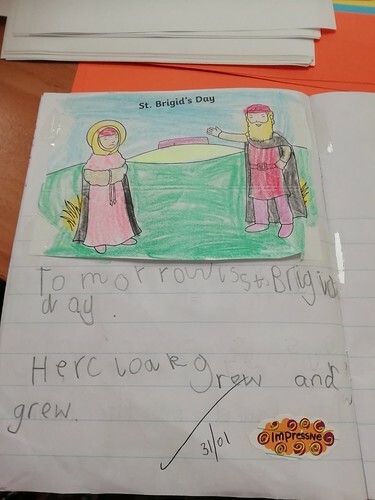 This was a great opportunity for the children to work in small groups and to showcase their developments. The children have been working hard towards receiving our Active School flag. We take regular movement breaks and rainy day breaks. Look at us dancing! 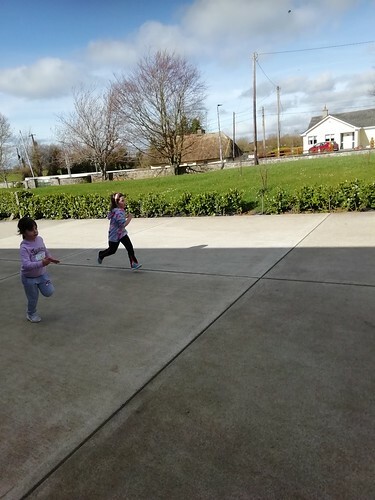 Over the next few weeks, we will be working on the Atlethics strand with a special focus on the fundamental movement skill of running. 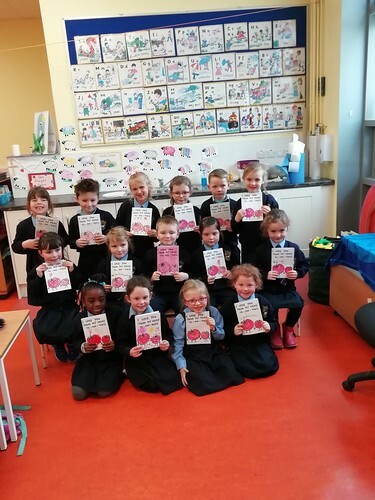 The Junior Infants have been taking part in an e-twinning project with children in Malta. 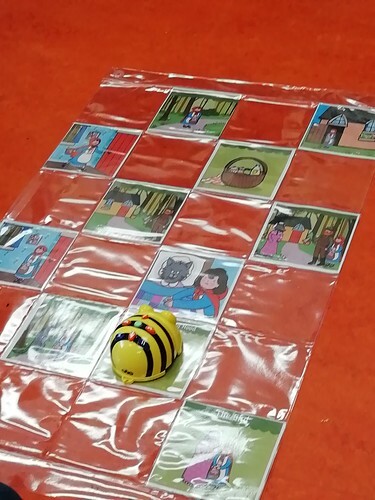 The project is all about using bee-bots to retell and sequence stories. 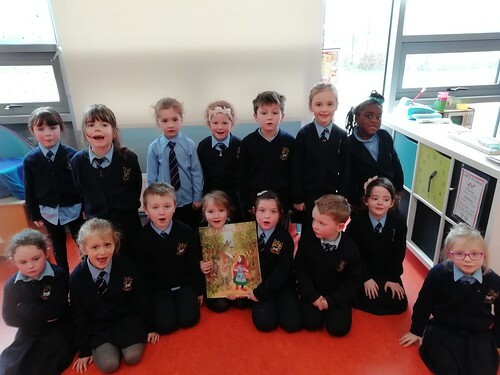 Our story for the month of February was 'Little Red Riding Hood'. 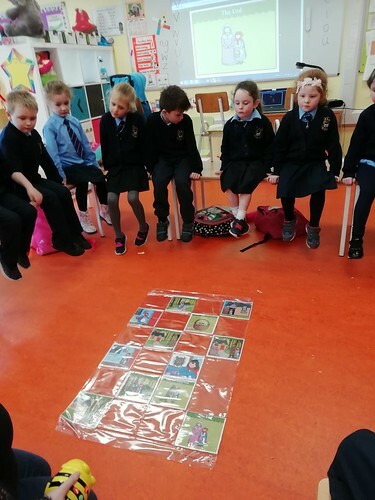 We read the story and did some activities based on the story such as drama and art. 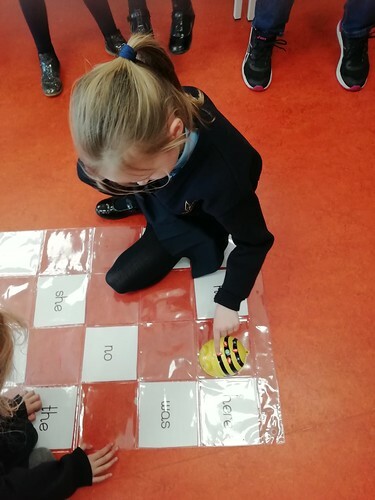 We then used our bee-bots to retell and sequence thestory. 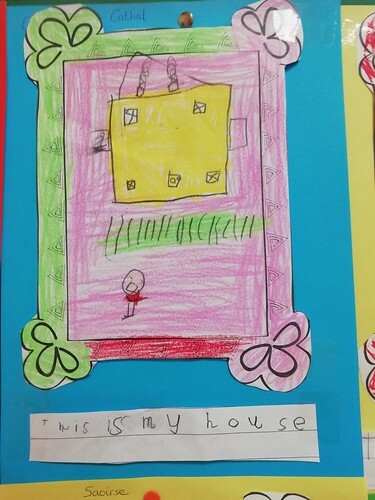 We documented the activity and send pictures to our friends in Malta.